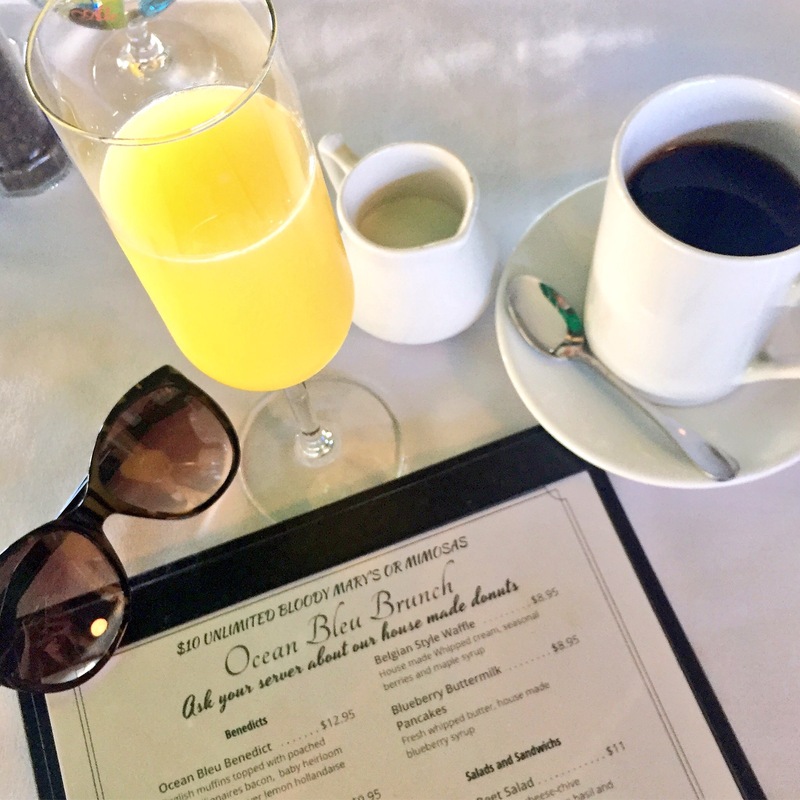 We visited Ocean Bleu Grill for brunch this past weekend. Located in an end unit of the County Line Plaza in Tequesta, they have an outdoor patio that is dog-friendly as well as a dining room and bar area. They strive to source locally which I love and are a microwave-free kitchen with an emphasis on fresh cooking. We opted to sit outside as it was a beautiful day and started off with Bottomless Mimosas. My eye immediately went to the Eggs Benedict. They make a couple variations but I went traditional with a poached egg, Canadian bacon and hollandaise sauce on an English muffin. 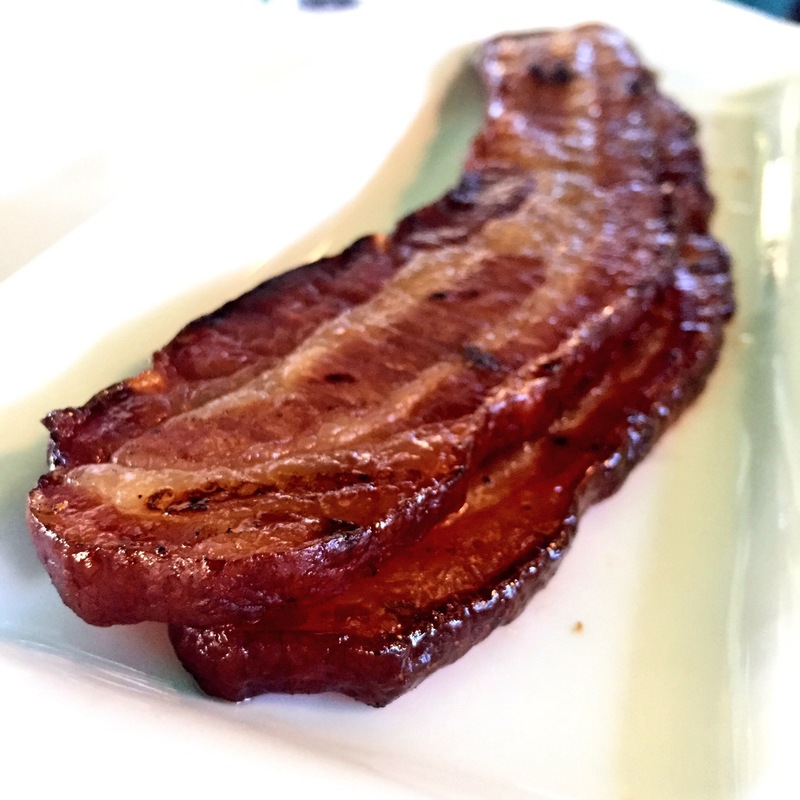 It was served with breakfast potatoes and I added a side of the Millionaires Bacon, which is thick-cut with brown sugar and cayenne for a blend of spicy and sweet. Also at the table was the Belgian Waffle, which is served with housemade whipped cream, seasonal berries and maple syrup and a side of the Andouille Sausage. Everything on the table was delicious and cooked well. The service was also great and I appreciated the family-run effort. The vibe was relaxed and tranquil with reggae and island music playing. 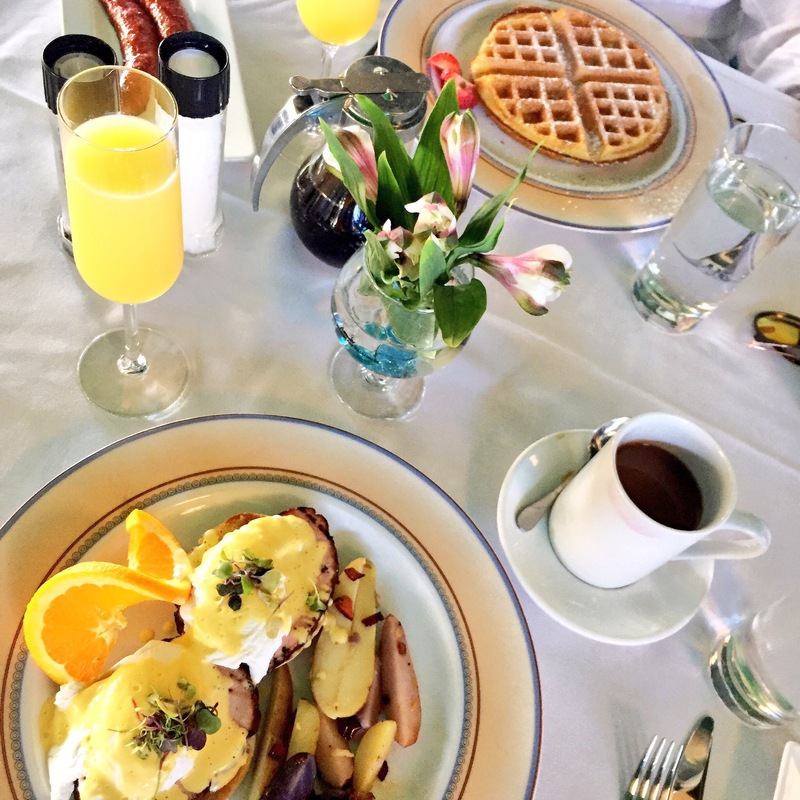 Ocean Bleu serves lunch, dinner and Sunday brunch from 10-2. On Thursdays they host “Pooches on the Patio” where you can bring your canine companion for a a meal of their own (though the patio is always pup-friendly). If you haven’t been, make the trip. Believe it or not, Tequesta isn’t THAT far away!